Contrary to widespread media reports, Victoria was not the only state grinch to oppose Group One status for The Everest. MY CALL can reveal four states gave the thumbs down while New South Wales could only salvage one other state to support its push at the Racing Australia pow wow. 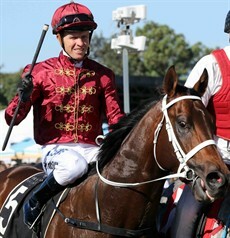 Will the success of The Everest be challenged by not having a G1 tag against the racename? I wonder if Peter V'Landys was not associated with The Everest concept whether it would be more warmly received. I mentioned on my Radio TAB PRESS ROOM program yesterday that V'Landys' profile can be likened to US President Donald Trump. Some, maybe many, refuse to accept the goals he regularly kicks. 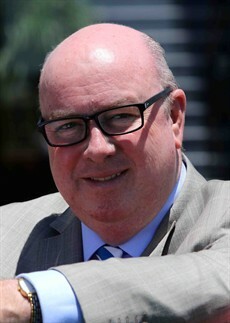 Fortunately for NSW racing, he doesn't give a toss. The doomsayers had ruled the Carnival would be a failure with Eagle Farm out of play. From the 118 runner acceptance at Doomben, 53 of those represented interstate and overseas stables or a 45% participation rate. The Doomben track played brilliantly. The soft 5 rating was spot on and despite an early knee jerk reaction by some jockeys and punters of an "inside no go zone", the track offered not a scintilla of bias. A similar product will be delivered for Doomben Cup day but in the good 3 to 4 range with a fine week assured. Good news coming out of a meeting between the Queensland branch of the Australian Trainers Association and Racing Queensland and QRIC last week. RQ will investigate employing a track walker for South-East Queensland meetings after some misleading ratings have been offered up in recent weeks. The implementation of a device called a "going stick" is also ready to be launched which, by all reports, seems to provide significant track intel. It can be a lazy exercise in nominating winners as horses to follow but you sometimes ignore them at your peril. Dark Dream (Doomben) and Lucky For All (Caulfield) were dynamic visually but their time figures also consolidated their claims for Queensland Derby success on June 9. Queensland Day Stakes winner Perast was excellent time wise, doing it at both ends (43.7/ 35.48), but I have a reservation about him running a strong mile from a Queensland Guineas viewpoint. The juvenile Zousain looked good but the race was set-up for a backmarkers charge (sectional breakdown (34.62 / 36.18). 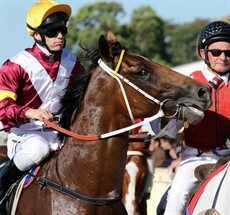 The Stradbroke will be the race of the Carnival without question. 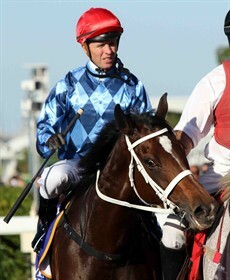 Impending, Le Romain and Care To Think were all more than sound in the Doomben 10,000. The juvenile Zousain looked good on Saturday but the race was set-up for a backmarkers charge (sectional breakdown (34.62 / 36.18).